. In January, it released the first work under new marketing lead, Danny Saksida, chief officer of business growth, with newly appointed creative agency, BWM Dentsu. Williams led the digital marketing transformation and national relaunch of HCF during her two years at the health insurance business. 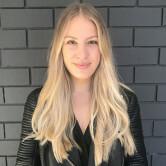 She appointed The Monkeys for a multi-million dollar ad campaign, re-organised the marketing department and the brand was named the inaugural AdNews Brand of the Year last year. Saksida said this resulted in strong brand and sales growth in 2016-17 and the next stage of HCF’s marketing isn’t a new brand direction so much as a new creative chapter. “It is a cluttered market and one of our strongest points of difference is the fact we are not-for-profit. This campaign is so important because it does the job of setting us apart from the sameness you get in the category,” Saksida explained. Under the restructure, Saksida, who has been with HCF for more than 20 years, leads the redefined marketing unit. Replicating moves made by Unilever and Coca-Cola, HCF axed the CMO role and broke the marketing teams into two outcomes-focused units: Member Experience and Grow the Business. The new ads take a more humorous approach to health insurance than in HCF’s previous campaigns. They show a range of characters who don’t understand the concept of putting people before profit, and are built around a narrative of diffusing mistrust and consumer cynicism - something often associated with the category. “We identified an opportunity to differentiate ourselves from the other big health insurance players in the market with a creative that brings a more satirical and comical tone than HCF’s traditional advertising,” Saksida said. Many Australians are still unaware that HCF is a not-for-profit organisation, so communicating that is still a key objective for the brand. “We want customers to understand why we’re different,” Saksida revealed. The new campaign, he added, hopes to leverage the growing movement towards not-for-profit health funds. BWM Dentsu MD Alex Carr said the ads are "definitely getting attention and the message across". “Many Australians in the market for health insurance don’t understand what not–for–profit means and how it means better value for them. So, we needed to find a simple, entertaining and memorable way to explain this point of difference," he said. "We decided to use the one group of individuals who would least approve of a company being not–for–profit and have them tell the HCF story - introducing the profit-hungry billionaires. A group of obnoxious, satirical characters who do not understand why any organisation would put people before profits and offer so many benefits to its members." This was first published in the March issue of AdNews Magazine. HCF quietly shook up its marketing structure last year following the departure of CMO Jenny Williams. In January, it released the first work under new marketing lead, Danny Saksida, chief officer of business growth, with newly appointed creative agency, BWM Dentsu.